Siddhu - March 7, 2016 - Leave your thoughts. "It takes a long time to become young" - Pablo Picasso. There is a lot of truth to that quote. And to Animaker, that means more than reality. We took some time, 6 months to be precise, to reinvent ourselves. To become young once again. We are stepping up our game. And our efforts and hard work did not let us down. But heh! entire 6 months, you might think. Still in beta version, you might say! But how long? Let me not answer that just yet. I’ll skip the question for now. For now, let’s just take a look at what we might offer. 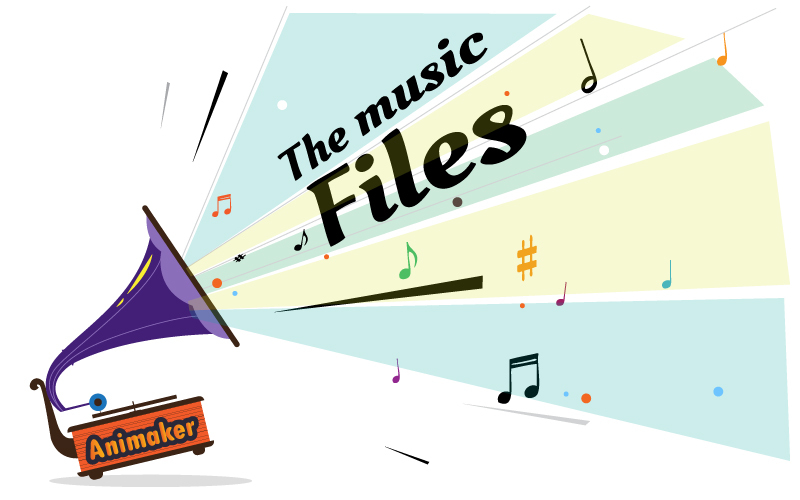 Okay, let me narrate you the most famous incident that happened during the development stages - ‘The music files’. Perfection is good. Everyone loves a teammate who strives for Perfection. But Mr. Gany is too perfect. How else would you describe someone who went on to reject 482 music files to find the best 15. That’s right, he rejected 482 music files giving 482 reasons. (Most of them were like “it was more like film music and won’t help the users”) I know it. I was there. It actually took us 6 months to finalize on the music tracks. 6 FULL MONTHS. So finally, when we completed the task, we all went out to celebrate the joyous moment! Yay! Thank god, this time, around for the release of new 35 music files, he selected them all after going through 70 files itself. Yup, we are releasing 35 new music files. Haha, I took you by surprise didn’t I? Oh, wait. This is just the tip of the iceberg. You heard it right. Iceberg! (not the Titanic one) Well, how else should we describe our new features, they’re all massive and important. Let’s just take fonts for example. As of now, users can choose from about 12 different styles. But we are adding 25 more new fonts. That’s a little more than double. But why fonts? Why are fonts so important? For a first time user, fonts might seem a little insignificant in the bigger scheme of things. But ask someone who has been using Animaker for more than a month. Why does MS Office have a plethora of fonts? Have you ever thought about it. Fonts make all the difference. They can create or destroy moods. Our Animaker team, after extensive research on what style of fonts will go well with animation style videos, have hand-picked 25 fonts. We have also added fonts that will best complement live action pictures and photographs in case you want to put your family photo in the background. And talking about backgrounds, we have always had regret the one mistake we made in the backgrounds section. Plain color backgrounds. Simply put, we don’t really have that many plain backgrounds. One of customers’ regular feedback is to come up with a solution to this problem. yes, we do have a tons of background, 248 to be precise. But most of them belong to different varieties and different genres and categories. This gives the user tons of options, but when the user wants to use a plain color background, his options are painfully restricted. Our product development team acknowledges it. That’s why our tech team decided to solve this problem for once and all. Once and all. Customisable background colors. That’s right. This article (http://www.rit mcsl.org/fairchild/WhyIsColor/files/ExamplePage.pdf) states that there are about 10 million colors humans can see in a single viewing condition, and the total number of colors is infinity. I rest my case. Excited, aren’t we? But hold on. We’re only halfway done. This is a no-brainer. Animaker is an animating tool. So the effects are not just an inevitable addition, but rather an important one. It is the effects that breathes life into the video. Here I call it simply property effects, but a much more technical word we use at Animaker is the enter and exit effects. As of now, we have about 10 enter and exit effects that can be applied to any asset. These 10 covers all the basic transition of videos that have been in use for so long. The newly added 20+ enter and exit effects not only extends the basic transitions but also for the first time introduces fancy transitions like Sparkle, Popup dots, or pixels. You name it. Okay, I know what you must be thinking now. Yes, these are important improvements and will definitely help us but is there anything new? Actually 45 video templates to be precise. 45 video templates of which 30 are 2D and thereby adding to the already existing 8. And the remaining 15. Well, you'll know it eventually. As I was saying, templates are very important for users who come in with a particular agenda. Say, if you’re looking to create a video resume, then you can just dive straight into our templates list and choose the appropriate template. No second thoughts needed. But on what basis the templates are chosen, you might think. Well, the criteria is the target audience. After analyzing our user database, the number of people who create a video of sales reports for their marketing meeting is higher than 'what do with the food I wasted'. I’m not saying the latter is not relevant, as of now it is not on our priority list. The next batch might have a template for the aforementioned topic. On that basis, some of the selected templates are (more like a teaser here, log in to see the main picture) sales target meeting, sell your product, an app demo among various others. And now coming to the main topic, the one you’ve been waiting for. 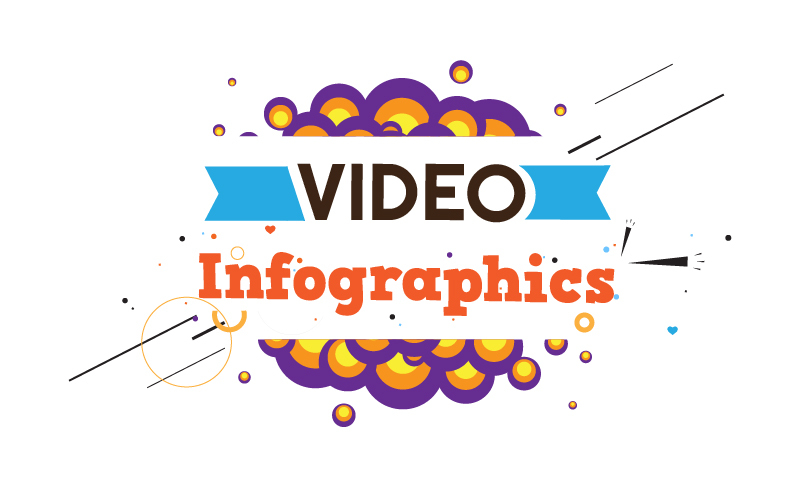 What is Video Infographics? For that please check our website. We have covered in detail about what infographics can do and why it is the future of the online data based videos. And as for how it works, well we have a detailed tutorial video that runs for about 25 minutes covering A to Z of everything that is Video Infographics. As for this post, I'm going to focus only on the features of Video Infographics. So fasten your seatbelts. 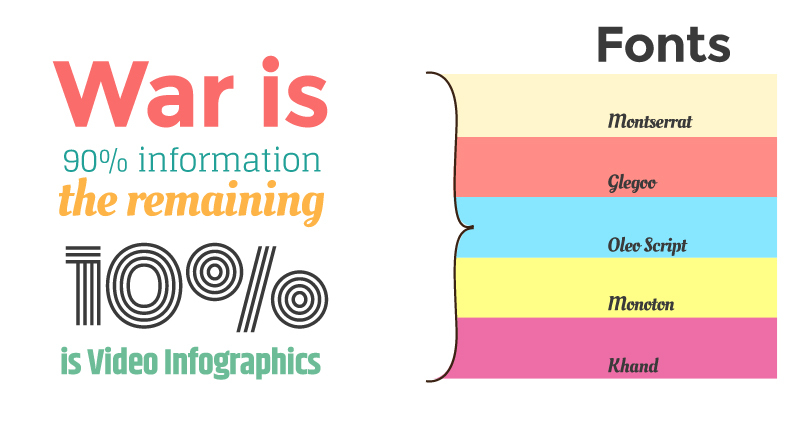 First of all, Video Infographics is not a feature but a theme of Animaker. It is a video style. It is like one of three pillars of Animaker. The other two are 2D animation and Handcraft. Now that we have established that video infographics is a theme, let’s just see what it offers as a theme. That’s a lot to take in one go. So let us take a look at one by one. TEXT PREBUILTS. You never heard that before, right? What are they?! Text pre-builts are animated versions of text that one can come across on something like a billboard, a live advertisement, a website and anywhere that you advertise. And we have 50 of them. 50. What about SPECIAL EFFECTS then? Are they any different from text prebuilts or are they related to the cinematic special effects? No, not the transformers level special effects. (BTW, the movie's SFX were really clumsy) This is neat, small, subtle additions to your video that makes your video look like straight out of a graphic novel with more charts and numbers. Okay, these are additions, but good looking additions nevertheless. Let’s come to the main attraction. This is what Infographics is all about. Presenting data especially big data through charts and maps. Telling a story through them. Busting the myth that they are boring. Convincing your superiors, clients, everyone with brick strong proofs. Oh wait, isn’t that what infographics also does? Well, infographics do exactly that. But a small correction, they just does exactly that. Whether they do it effectively or not is a question that has been answered very many times. And the answer every single time is an astounding NO! Charts and maps are made for videos. They are best represented through videos. Because, a moving bar is far more effective than a static chart or a bar. Where is the anticipation in a bunch of static charts and bars. But with a moving bar, there is excitment and mystery for you don't know when and where it will stop or what shape it will take next. So what we have here is a variety of charts of different styles. And these charts and graphs are highly customizable. I repeat it. CUSTOMISABLE. Yes, that means any size and more importantly, any shape. And fusing them with words of your choice, and numbers of your picking, data, especially big data sprouts to life. Imagine the following scenario - You’re in a meeting. Sitting in front of you are two most important people that could break or make your business. Are you going to present your data through an excel sheet or excite them with a video? Think about it. Those are dilemmas and choices. But for now, let’s move to some other place. Maps. 3000+ Maps. Why 3000+ maps, i mean for what joy. Maps are the most important part of data storytelling. Yes, charts can tell a story, but maps make it more personal. 'Maps' is Animaker’s way of telling the world, that this tool is made not just for a particular country or for a continent, it is made for everyone. 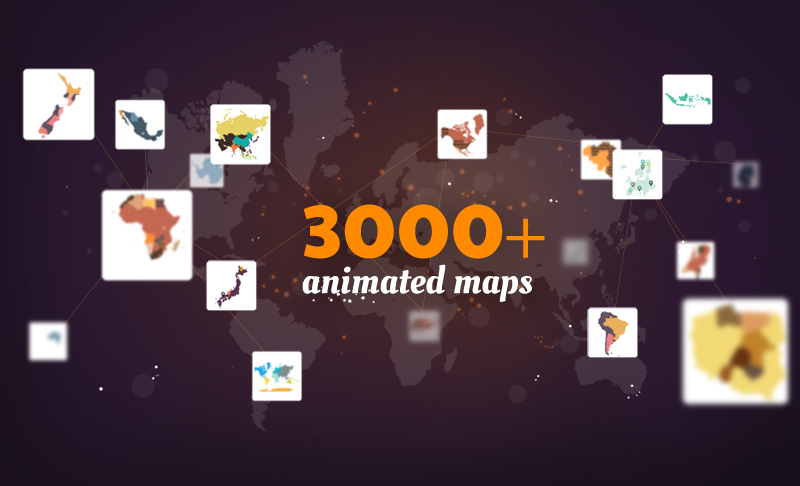 Everyone in the world, no matter how remote their place is, will have access to Animaker. But more importantly, they will have the freedom to tell a story about their neighborhood. Are you from Telangana in India and do you want to tell a story about how your local drainage system has been a problem for the past decade. No problem. You can now do that with Animaker without showing something that resembles Minnesota but actually show them on Map. Is your place Leinster in Ireland and you want to talk about the increasing road accidents or bird migration from East African countries? No problem. Animaker can help you. This is what Video Infographics can do. It brings together people and makes sure that there is no data that cannot be shown or represented through an animated video. Video Infographics is an upgrade to the data world. It changes everything. I feel heavy and angry gazes from my colleagues. They think I'm giving away too much and thus robbing the fun of you guys actually experiencing the product. So I'm gonna leave you with not one but two final additions, perhaps the most important of all. Improved search. One of the biggest user problems is that Animaker has tons of properties and it becomes a really tedious process if they want to lock on their desired item. 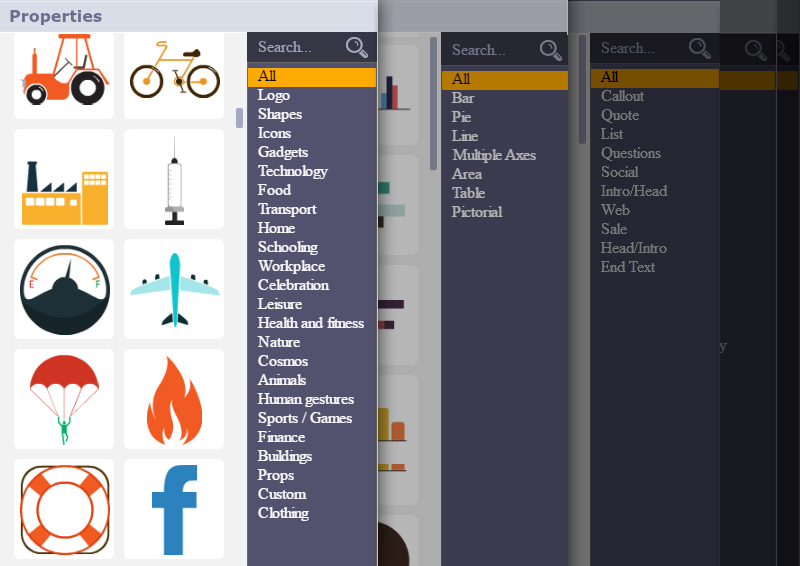 That is why we have improved your searching abilities vastly by adding categories to every set in the asset library. You can now manually search as well as choose from the finely refined and researched category list every time you’re in the dilemma. This will greatly reduce the time you spend on making videos. You now know which is where. Last but not least, one of the another important improvements we have made is the option to change the quality of the workspace. You can decrease the quality of the workspace if your browser starts crying. If you have a computer that was never upgraded since the French revolution, you don't have to change your computer or upgrade certain components to use Animaker. Animaker will downgrade its workspace quality to help you work without any hassles. Also, downgrading the workspace quality will NOT downgrade the quality of the final video output. That will always be awesome. So that's all folks. I'm not going to make you wait anymore. It's a goodbye from me. For now. Until next time, happy animating!